Our One Link Earrings are a wonderful way to polish up a casual look. 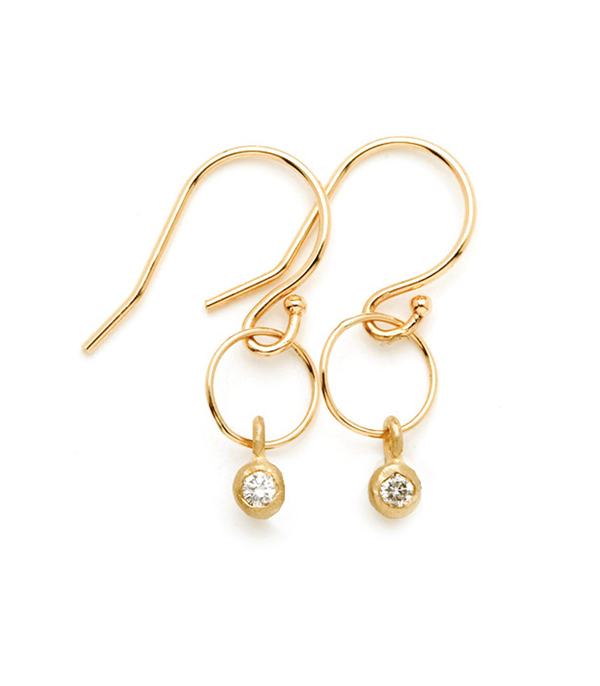 Simple circles are given the tiniest bit of refinement with a dangling diamond (0.09 cttw) set in a rounded pod shape. Dangling on hand shaped earwires, these are our favorite “jeans and a t-shirt” earrings!